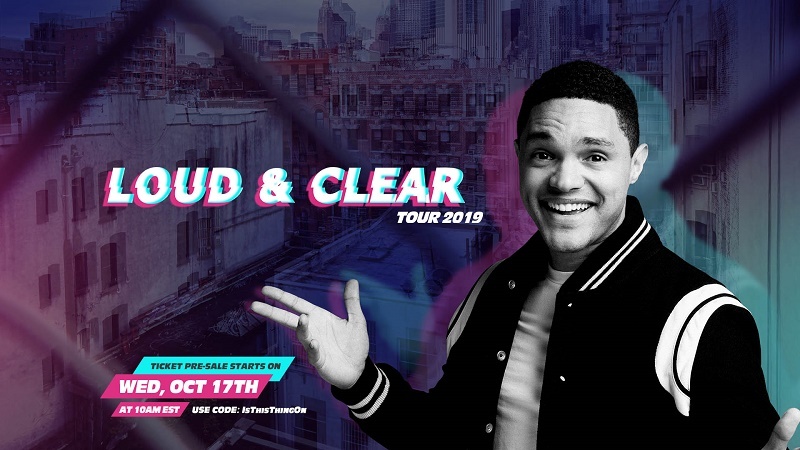 Trevor Noah: Loud and Clear Tour is coming to Giant Center Saturday, June 1, 2019 at 8 PM. Tickets for this show start at $42.35 (processing fees apply), and are available at Giant Center Box Office. They can be charged by phone at 717-534-3911 or 800-745-3000, and online at www.HersheyEntertainment.com or www.TicketMaster.com. 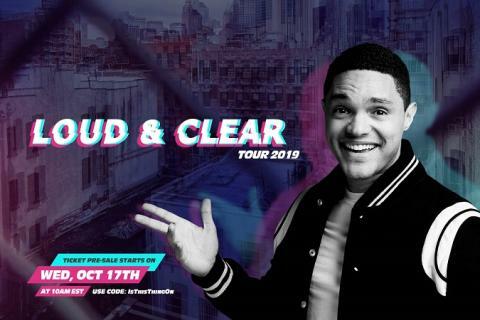 Trevor Noah is crossing North America on his first ever arena outing with the Loud & Clear Tour 2019. Kicking off January 18 in Toronto, the 28-city tour will visit cities including Tampa, Cincinnati, Atlanta, Baltimore, Chicago, Pittsburgh, and many more. “The Daily Show” host and celebrated comedian is known around the world for his insightful and authentic take on politics and current events. Tickets for this show start at $42.35 (processing fees apply), and are available at Giant Center Box Office.